While $5 gold American Eagles are certainly beautiful to look at, the only thing more captivating than their appearance is the surprisingly rich history behind these coins. From their unique composition to the deeply symbolic significance behind their design, it’s no wonder that they are a favorite among collectors and investors alike. Read on to discover fascinating facts about these Eagles! 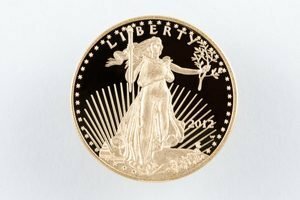 Their Beginning: These unique coins were authorized under the Gold Bullion Coin Act of 1985 and are now the official gold bullion coin of the United States. They were first printed and released by the U.S. Mint in 1986, during the Reagan era. Prior to the passage of the Gold Bullion Coin Act, Congress has prohibited the printing of gold coins in 1933. This was part of Franklin Roosevelt’s efforts to combat the Great Depression. 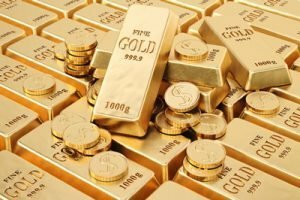 However, as Americans once again became more prosperous, they began collecting gold, turning to foreign treasuries to do so. 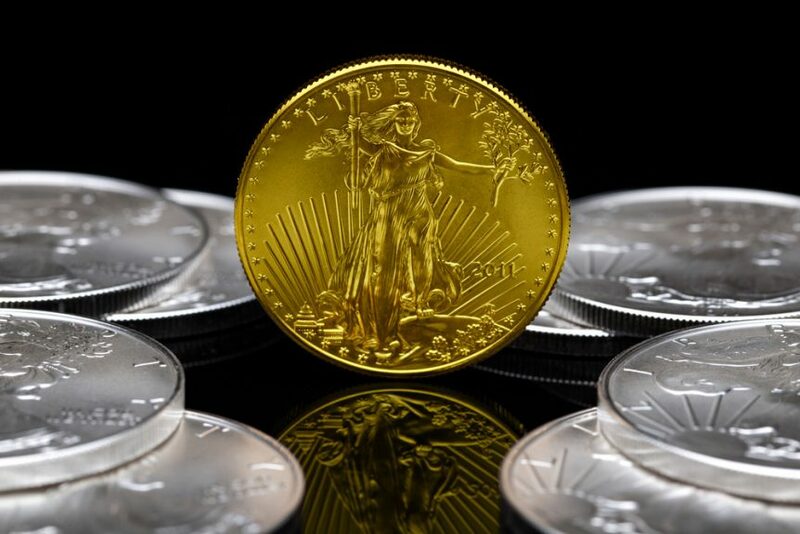 As a result, Congress passed the Gold Bullion Coin Act to encourage U.S. citizens to invest in American gold, and the American gold Eagle was born. Their Composition: The coin is composed of 22K gold, alloyed with 3% silver and 5.33% copper. This composition is otherwise known as “crown gold” due to its use by the British monarchy starting with King Henry VIII. This specific metal composition is believed to be superior to other compositions for several reasons, including the prevention of filing as well as increased durability. The coins’ weight and gold content is guaranteed by the United States government. Additionally, by law, the gold that composes gold American eagles must be sourced from the United States. Because the coins are also manufactured at the U.S. Mint in West Point, New York, they are truly American through and through. Their Design: The history behind the design of the $5 American gold eagle is rich with significance. The Front: The obverse side features a classic rendition of the full-length Lady Liberty, hair flowing in the wind, olive branch and torch in her hands, Capitol building in the background. This deeply symbolic design is a rendition of work by the acclaimed American sculptor Augustus Saint-Gardens, who was originally commissioned by President Theodore Roosevelt in 1904 to beautify American coinage in the style of the Ancient Greek and Roman coins. Saint-Gaudens created other such notable pieces of American artwork as the Robert Gould Shaw Memorial on the Boston Common, the grand equestrian monuments in Chicago’s Grant Park, and the William Tecumseh Sherman monument in New York’s Central Park. Saint-Gaudens also designed other coins such as the $20 Gold Double Eagle and the $10 Indian Head Gold Eagle. Because of his contributions to American art, including his work on American coinage, Saint-Gaudens’ home in New Hampshire has been preserved as a National Historic Site where visitors can attend summer concerts as well as take sculpture classes! The Back: While the U.S. Mint chose the classic Saint-Gaudens rendition of Lady Liberty for the front of the Eagle, they knew they wanted to choose a new design for the reverse side in order to distinguish it from other coins. The reverse side of the gold American Eagle was designed by sculptor Miley Busiek (now known as Miley Tucker-Frost), one of the first female designers whose work was featured on a U.S. coin. Still an active sculptor, Busiek is also well-known for designing the “Peace Through Strength” monument on Army Navy Drive in Virginia and the “Seal of the President” at the George W. Bush Presidential Center in Dallas, Texas. In 1985, when the coins were authorized under the Gold Bullion Coin Act, Busiek felt inspired to submit a design for the reverse side. Inspired by Reagan’s acceptance speech at the Republican National Convention, which emphasized the necessity of working together for the common good, Busiek created an innovative design that featured a family of bald eagles rather than the singular bald eagle that usually graced the backs of coins. In her depiction, a male bald eagle carries an olive branch back to the nest where his female mate and their hatchlings await him. The Year: Eagles printed from the year 1986-1991 feature the year in Roman numerals. However, in 1992, the U.S. Mint opted to change the design, and coins printed since then feature the year in Arabic numbers. Their Value: Although the $5 gold American Eagle has a dollar amount specified, the coins are typically priced according to the market value of its gold content. As a result, their value fluctuates with the precious metals market, making investing in one of these coins much different (and more lucrative) than simply holding $5 bills. Being printed and authorized by the U.S. Mint, these coins are still legal tender and could theoretically be used as such at their printed face value. However, given that their intrinsic value is much greater (i.e. often over 20-30 times greater), coins are typically held and traded as investments rather than as legal tender. Learn More About $5 American gold Eagles Today! 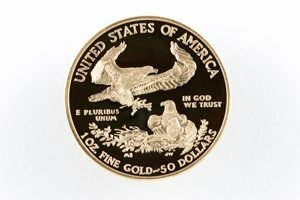 To learn more about American gold Eagles as well as how to add them to your investment or collection, visit First Fidelity Reserve online or call (800) 336-1630 toll-free. First Fidelity Reserve, which is the Official Bullion & Rare Coin Partner of the Association of Mature American Citizens (AMAC) and maintains an A+ rating with the Better Business Bureau, is the organization you know you can trust. Expert numismatic consultants wait to help you learn how to acquire these valuable coins and create a personalized investment or collection strategy to help you achieve your personal goals! Additionally, learn more about First Fidelity Reserve’s free, award-winning Gold Resources. These resources have been expertly tailored by Dr. Michael Fuljenz, America’s Gold Expert® and First Fidelity Reserve’s Numismatic Consultant to fit your needs as a consumer. Let First Fidelity Reserve help you become the well-informed gold collector and investor you have always wanted to be!